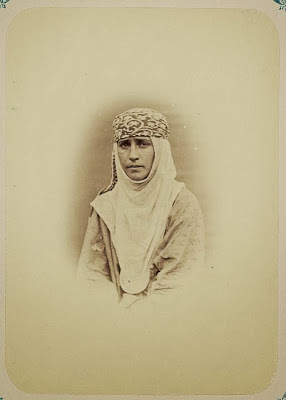 Picture a Day - The Holy Land Revealed: Who's the Winner of the Miss Jewish Turkestan Pageant in 1870? 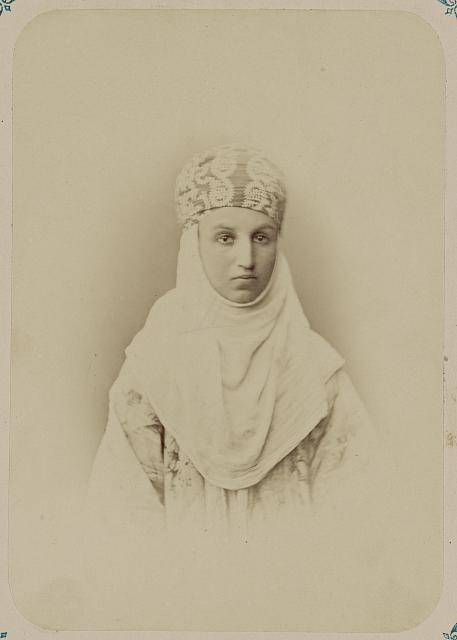 Who's the Winner of the Miss Jewish Turkestan Pageant in 1870? The source of the 140 year old pictures of Jews from Turkestan and Samarkand (posted here and here) has been found. An incredible collection in "The Turkestan Album" was purchased by the U.S. Library of Congress from a Jewish book dealer in New York City in 1938. 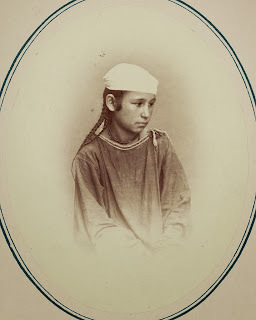 Other copies are found in the National Library of Uzbekistan and the National Library of Russia. According the Library of Congress, the album was assembled after "the Russian imperial government took control of the area in the 1850s and 1860s." 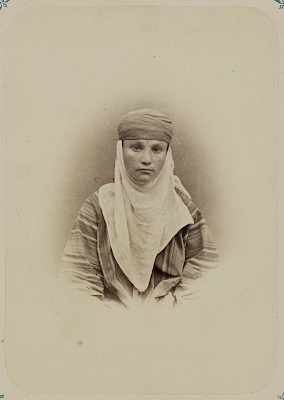 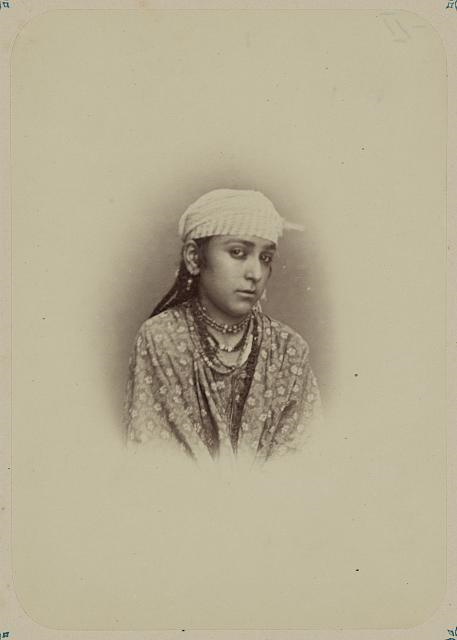 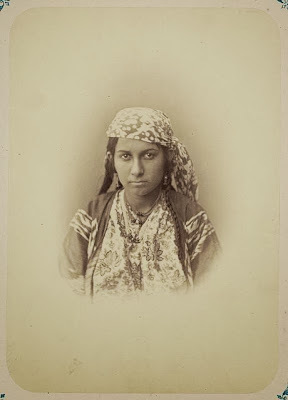 The Album's "Ethnographical Part offers individual portraits and daily life scenes of [tribes] Uzbeks, Tadzhiks, Kazakhs, Kirghiz, [Jews[ and others." 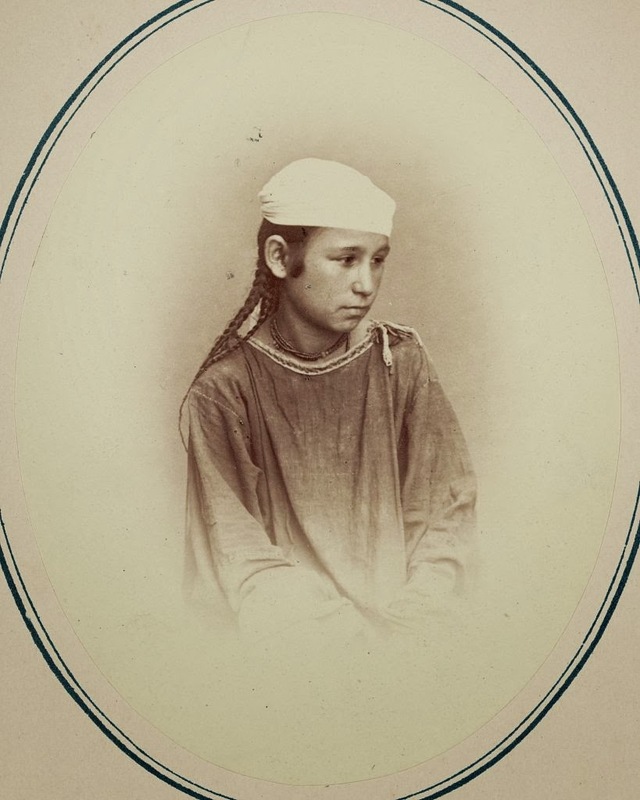 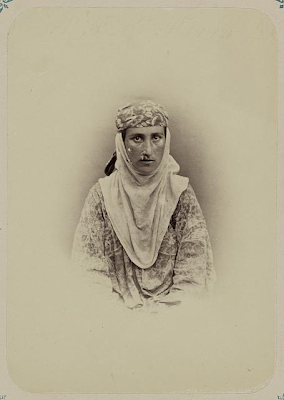 The Library's introduction to the collection explains, "Konstantin Petrovich Von Kaufman (1818-1882), the first governor general of Russian Turkestan, commissioned the albums to acquaint Russians and Westerners with the region." Among the 1,200 pictures in the albums are pictures of the Jewish life cycle -- marriage, circumcision, and death -- as well a pictures of Jewish synagogues, sukkot, and schools. 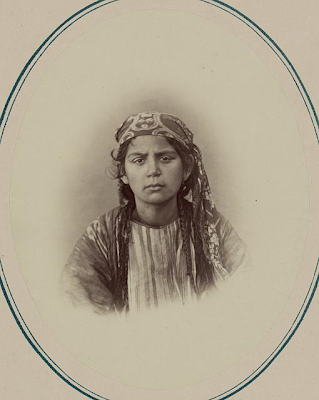 The album includes a dozen portraits of Jewish women and girls, presented here. Many have variations of Jewish names such as Rachel, Malka, Leah, Sarah, Zippora, and Miriam. Click on pictures to enlarge. 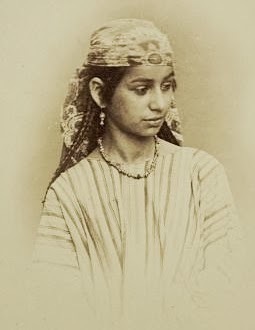 Click on the name in the caption to view original picture.